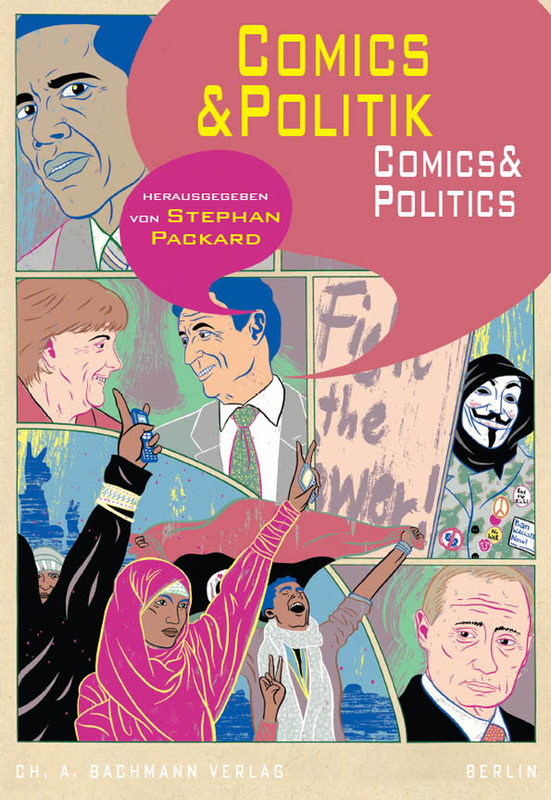 I have a new article out in a collection called Comics & Politik - Comics & Politics, edited by Stephan Packard. My article, entitled 'A Defining Problem', looks at the ways in which we define comics, and expands on a talk I gave at the 2012 ComFor conference (details of the conference can be found on the Comics Forum website here). Some of the content crosses over with my chapter on definitions in Comics and the Senses, but as the article was due slightly later than the book manuscript I did have the opportunity to address Bart Beaty's work on institutional definitions in his excellent book Comics Versus Art, so there is a bit of new content for those who've already read Comics and the Senses. Attempts to define comics have frequently involved the identification of specific visual elements, often a sequence of images, as essential characteristics of the medium. Other definitions have focused upon the social contexts in which comics have been produced and received. This article outlines three different categories of definition: elemental, knowingly incomplete, and social. It argues that while elemental and knowingly incomplete definitions (which tend to emphasise image sequences as critical components of comics) have formed the basis for our understanding of how comics work, it is perhaps the social mode that is the most useful because it enables us to go outside a limited set of specific characteristics and consider a wide range of elements from the cultural contexts in which comics sit, to the non-visual elements of the medium. It's a fantastic and substantial (495 page!) collection with some great contributors, and articles in both English and German. The publisher's webpage for the book is here, and you can order the book here. On affame bien les rats!